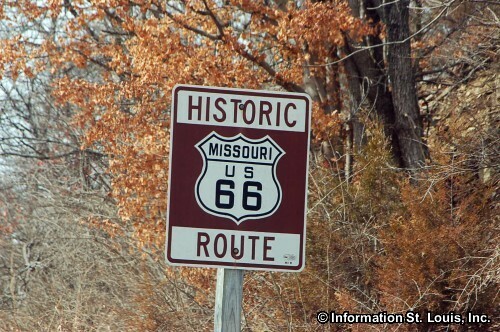 Today in Missouri, it is possible to travel on 300 miles of roadways that were once part of the original Route 66 Highway. 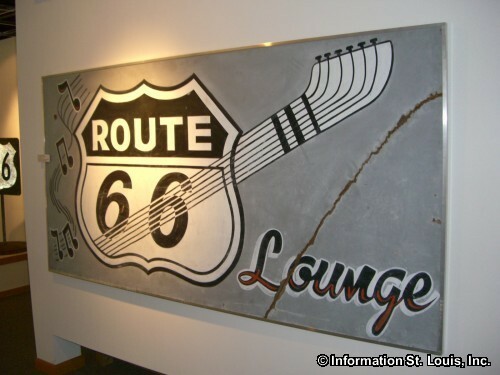 Route 66, the "Mother Road" of the United States, ran from Chicago Illinois all the way to the southern coast of California in Santa Monica. 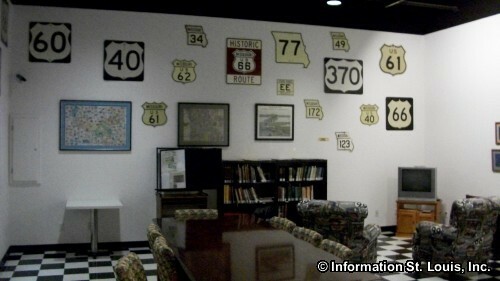 A total of 2,448 miles of highway running through Illinois, Missouri, the southeast corner of Kansas, Oklahoma, the Texas Panhandle, New Mexico, Arizona and Southern California. 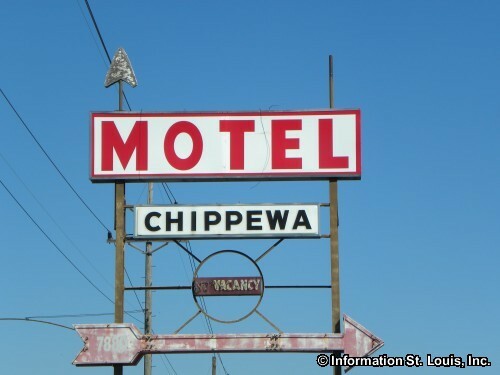 It was born at a time when the nation was demanding a standardized national highway system. 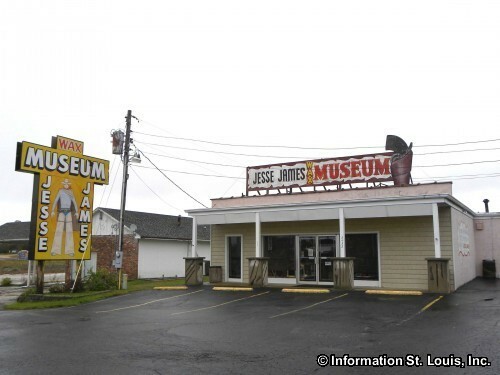 The Federal Government listened and gave Cyrus Avery, a successful Oklahoma businessman, the job of plotting and mapping out what would become the US Highway System. 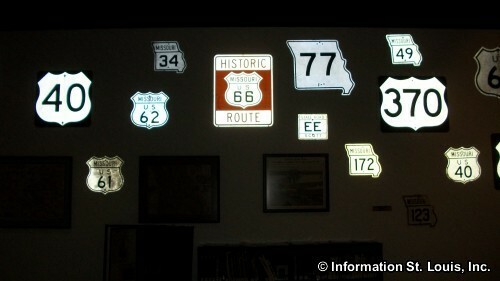 On November 11, 1926 a bill was signed in Washington creating the American Highway System, with a new naming system and standardized signage to be used. 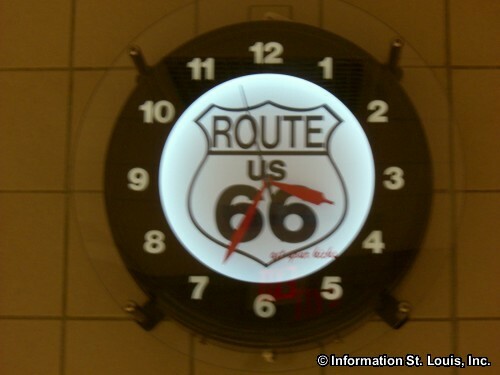 Route 66, "Main Street of America," was born! 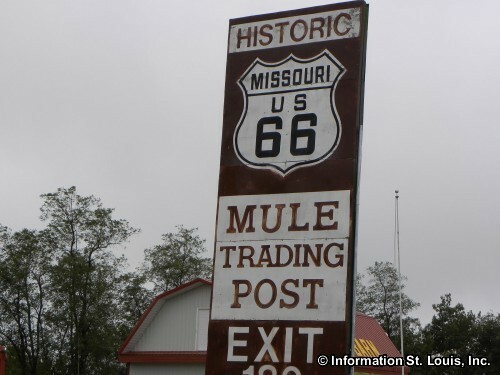 Across the country, Route 66, in many places, followed old trails of Indians, pioneers and even deer. 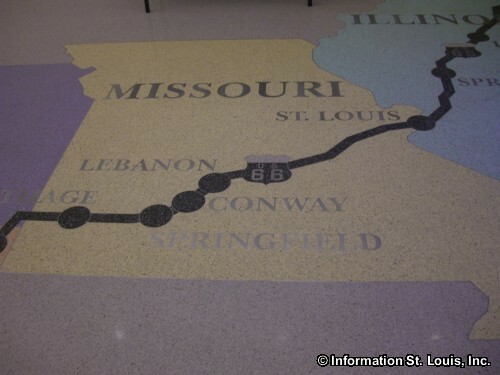 The path that Route 66 followed from St. Louis Missouri to Springfield Missouri was originally just a trail known as the "Osage Indian Trail." 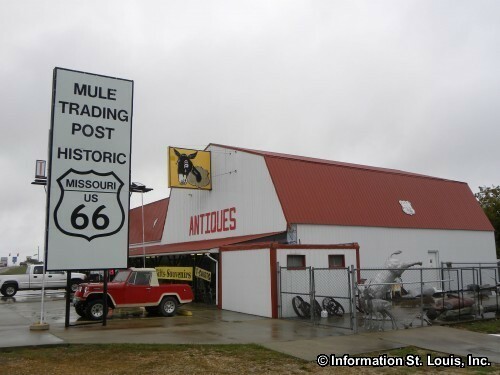 When it was designated as Route 66, most of it was just a dirt or maybe a gravel road. 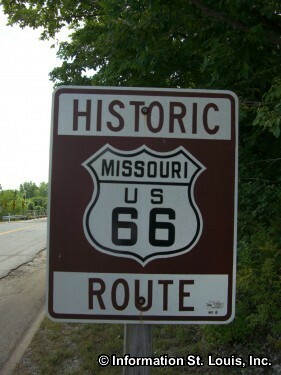 On January 5, 1931, Missouri became the third state to completely pave its portion of Route 66, with the last mile being completed in Phelps County near Arlington. 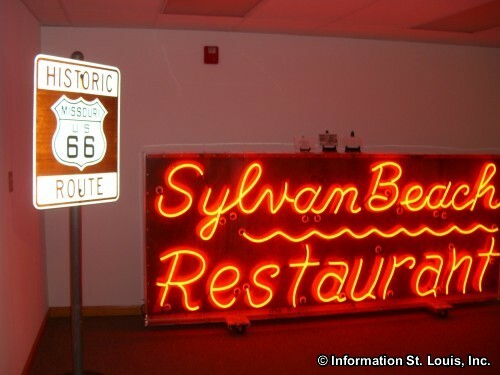 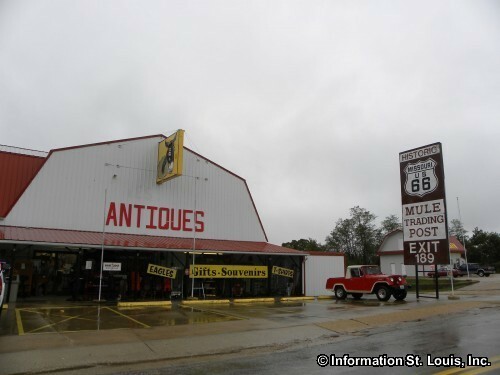 Historic Route 66 came through St. Louis in three different locations over the years. 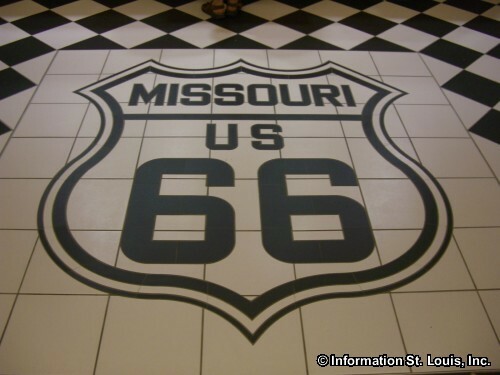 The original alignment of Route 66 into St. Louis was across the McKinley Bridge and through the downtown warehouse district. 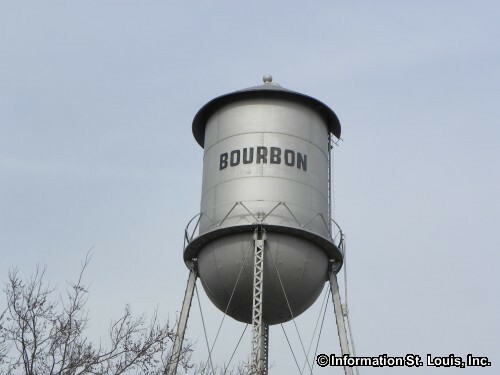 This caused extreme traffic problems in downtown. 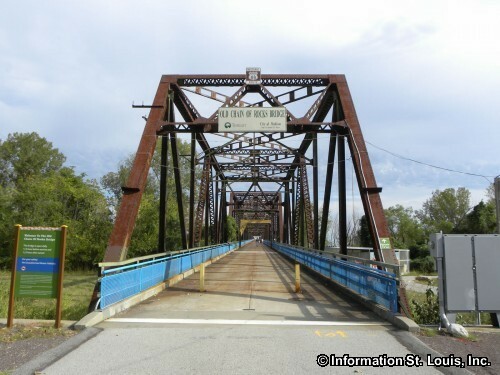 The traffic was then routed across the MacArthur Bridge, but that did little to ease the congestion of downtown traffic. 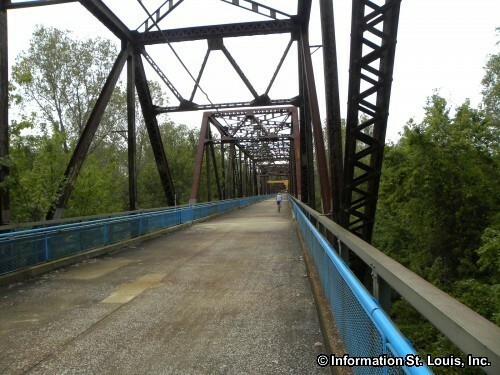 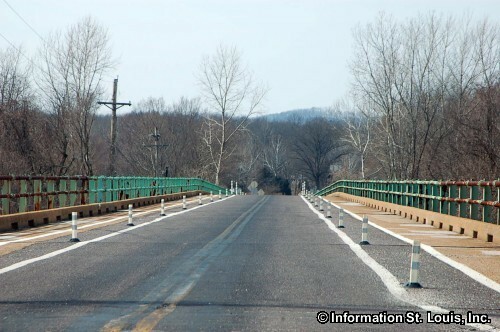 Finally, Bypass Route 66 was created and it was sent across the Old Chain of Rocks Bridge just north of the city. 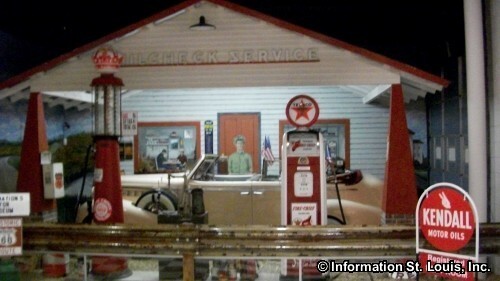 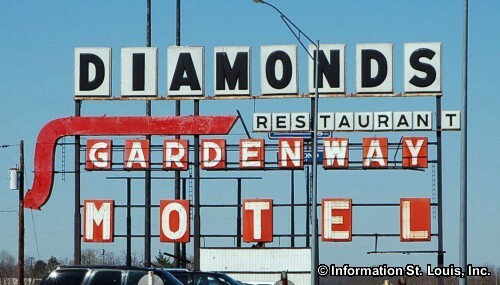 Some of the places along Route 66 that travelers would stop at are still around. 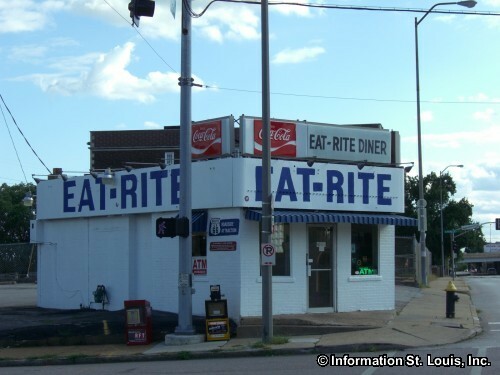 The Eat Rite Diner, an iconic "American Diner" in Downtown St. Louis, has been around since Route 66 came across the now closed MacArthur Bridge. 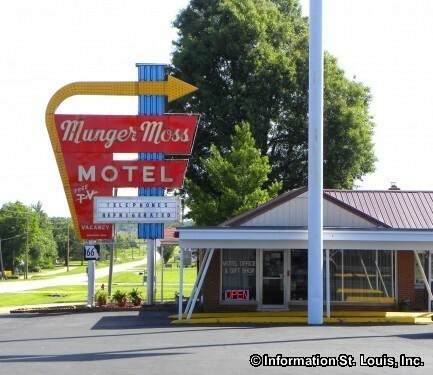 It is still serving breakfast, lunch and dinner, 24 hours a day, 7 days a week. 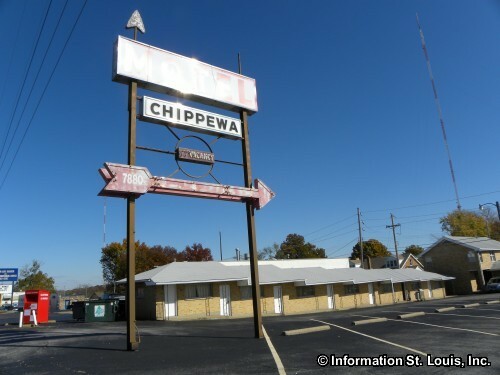 One of Ted Drewes Frozen Custard stands opened in 1941 when the Route 66 alignment was following Chippewa. 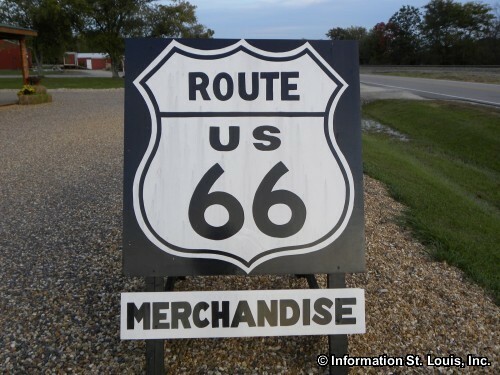 Travelers along Route 66 would stop to enjoy a "concrete", the famous custard treat that is so thick that it is served turned upside down! 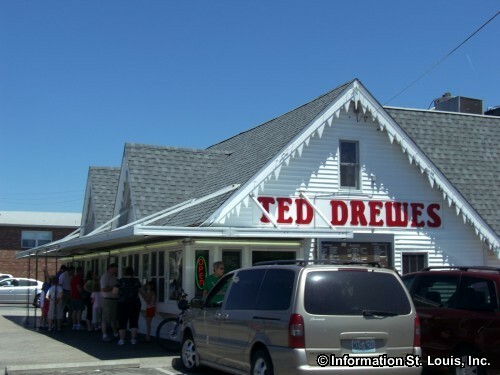 The Ted Drewes Frozen Custard located on South Grand opened in 1931 and today St. Louisans can still travel the "Old Route 66" to enjoy those delicious concretes. 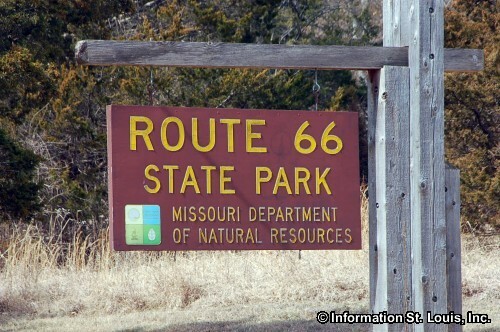 The Route 66 State Park is located in the area that was once the town of Times Beach, a summer retreat for St. Louisans along the Meramec River. 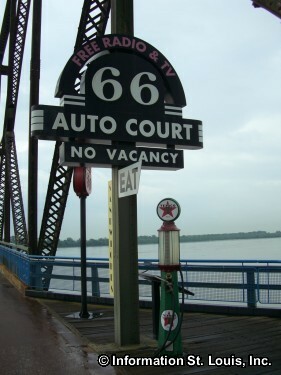 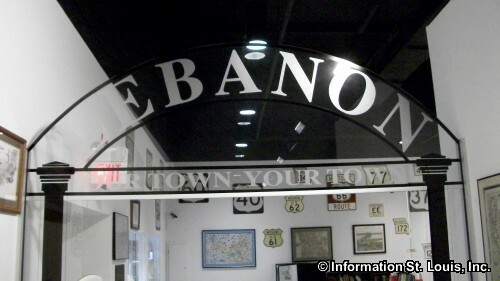 Route 66 came right through the town and shops, restaurants, and motels were there for travelers who wanted to stop. 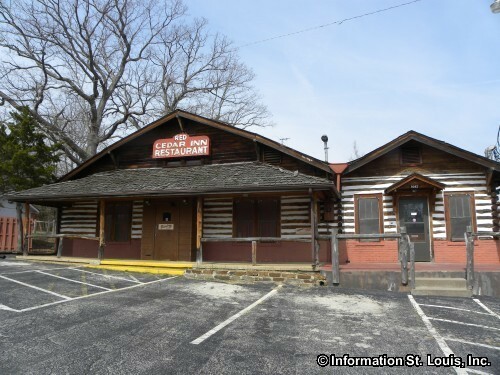 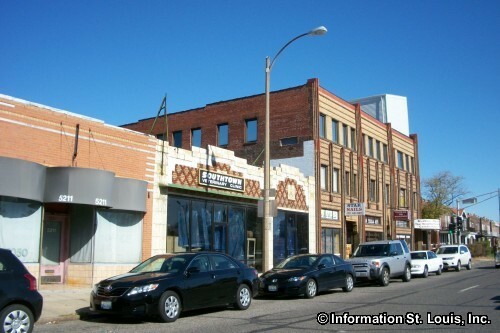 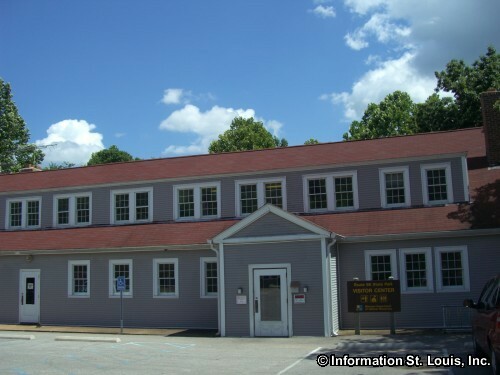 The Bridgehead Inn was built 1935 on the east side of the Meramec for just that purpose. 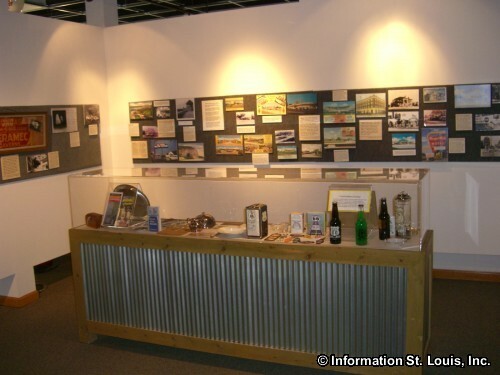 Today, Times Beach is gone and in its place is the Route 66 State Park and the Bridgehead Inn is a Route 66 museum. 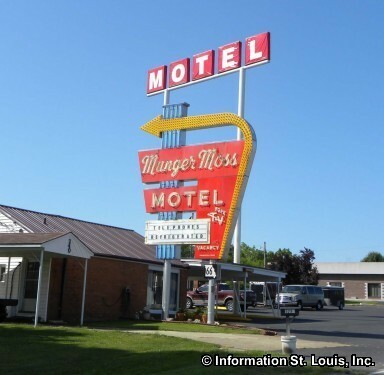 All along Route 66, motels popped up to cater to tired travelers. 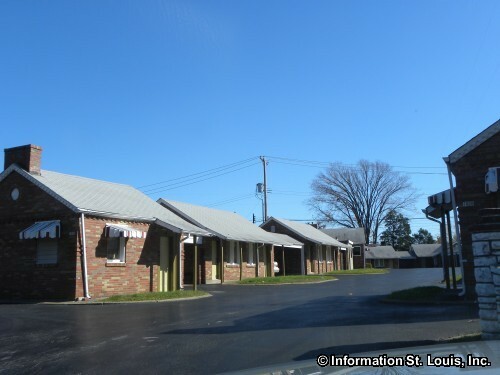 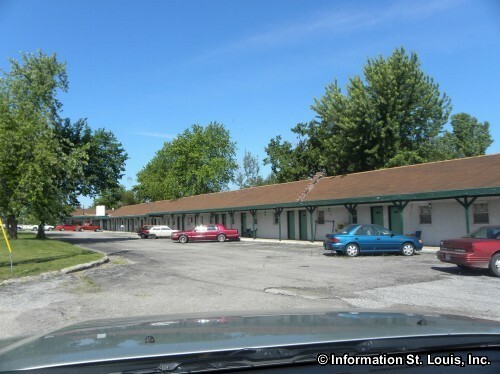 Many of those motels in St. Louis were located on Chippewa in South City, which then turns into Watson Road in South St. Louis County. 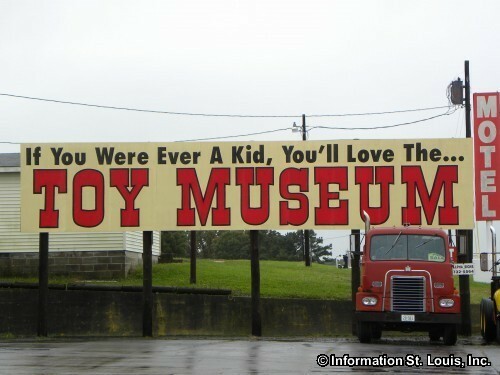 Some of them are still in operation. 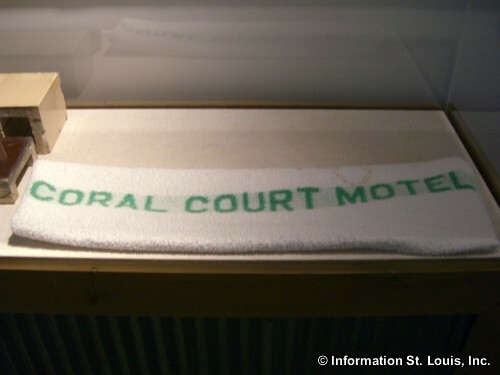 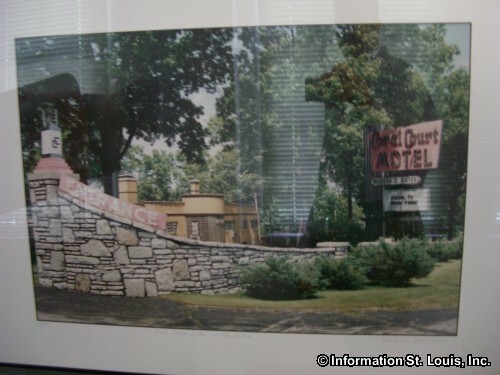 One of the most "famous" of Missouri motels was the Coral Court Motel. 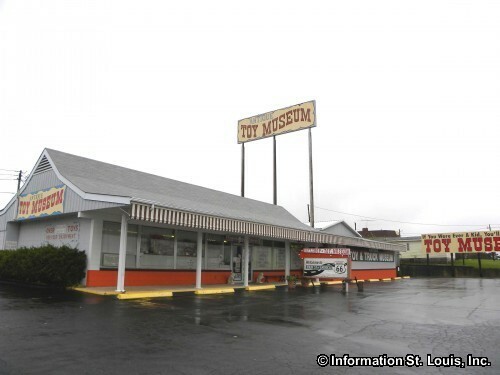 Unfortunately for Route 66 history buffs, the motel complex was torn down, but the Missouri Transportation Museum has one intact unit of the infamous "No-Tell" motel on display. 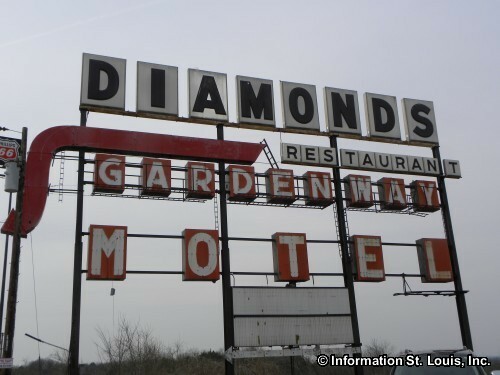 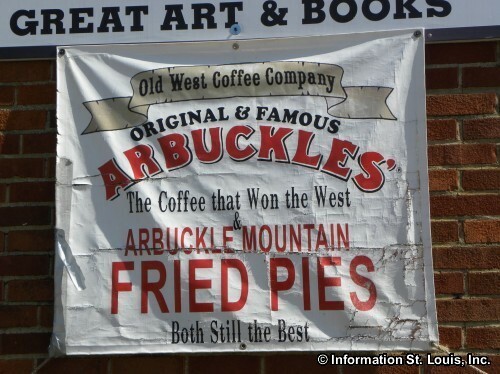 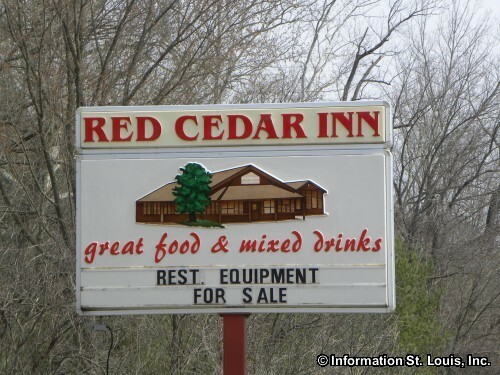 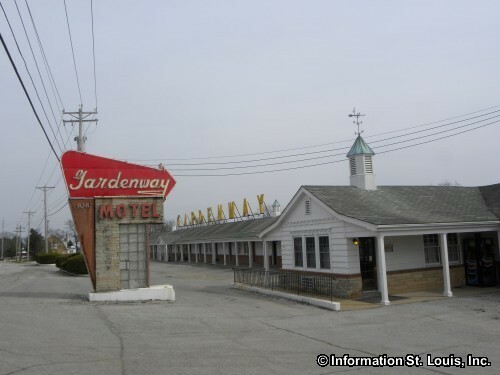 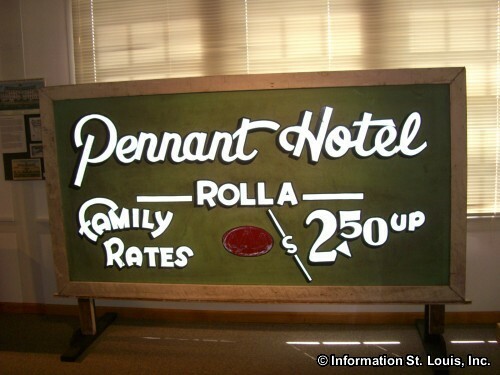 There are some Route 66 motels outside the St. Louis area that are still providing rest stops for weary travelers. 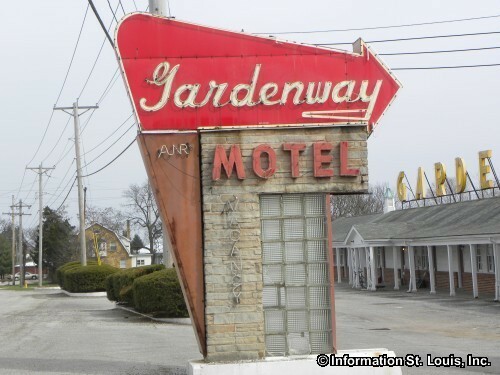 The Gardenway Motel, located in Gray Summit, is one of them. 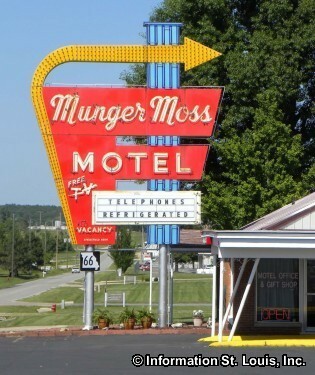 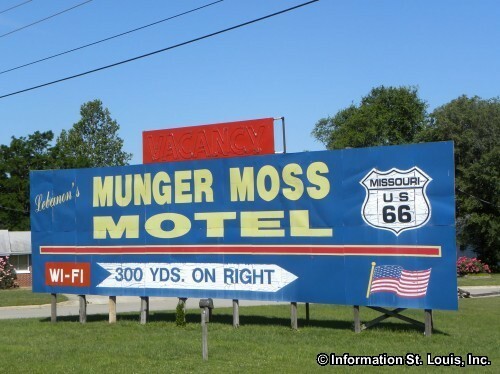 Munger Moss Motel in Lebanon Missouri is another. 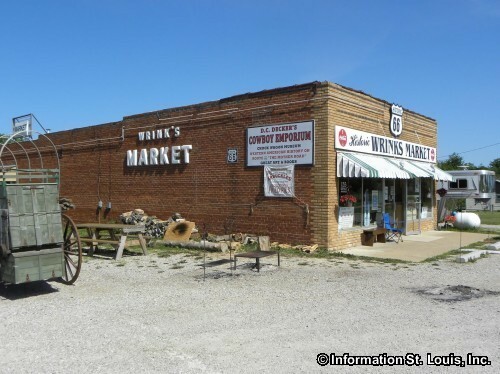 Meramec Caverns, located in Stauton Missouri, has been a sightseers delight since 1933 when it was first opened to the public. 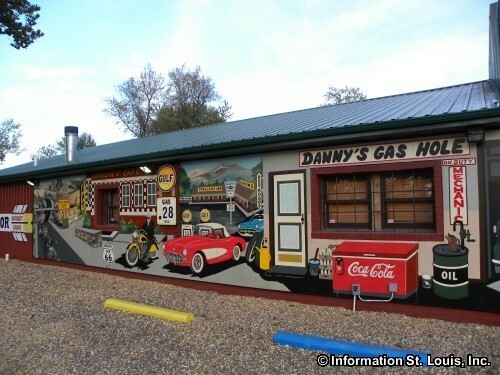 Travelers on Route 66 did not have a hard time finding it because the owner, Lester B. Dill, used a unique way of advertising. 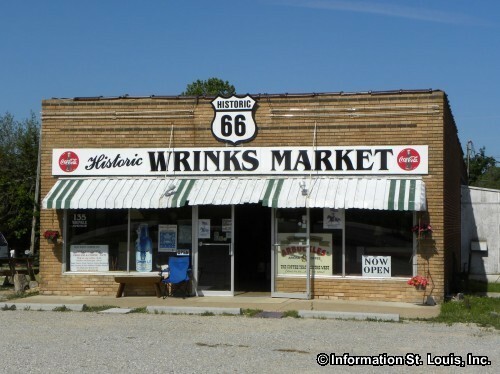 Along Route 66 he would make an offer to farmers whose barns were in need of a paint job. 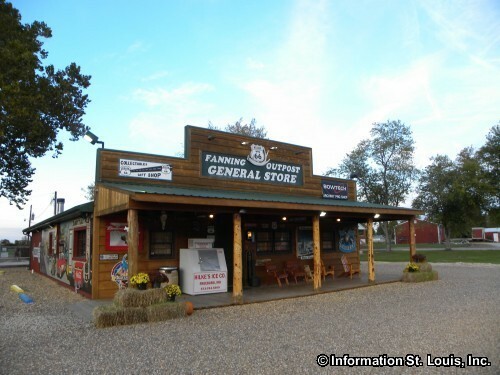 His offer was that he would paint the barn if the farmer would also allowed him to paint the roof with an advertisement directing travelers to come to his Meramec Caverns. 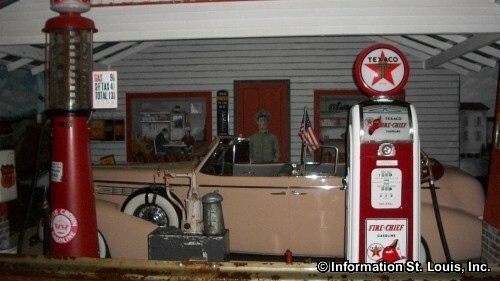 He was also the inventor of the bumper sticker and anyone who visited his Caverns got a bumper sticker. 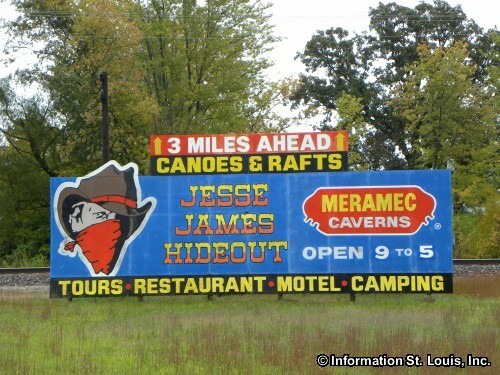 Those bumper stickers promoted Meramec Caverns all across America. 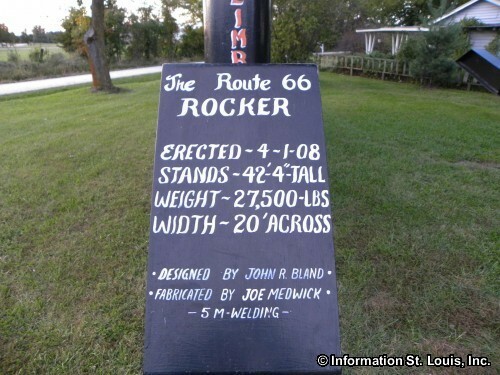 Route 66 Rocker at the Fanning Missouri Outpost-"World's Largest"